Listed below are all of the categories for this year's awards. This category recognises organisations and stakeholders that have collaborated to bring real and demonstrable benefits to the rail industry. This category recognises projects that have helped deliver a safer, more reliable railway with greater capacity and efficiency. It is likely that this award will represent the work of a number of suppliers working in partnership to deliver lasting benefits to Britain’s rail network. This category recognises the best standards challenges which have been submitted to Network Rail since the process was launched last year. To increase innovation and creativity and to reduce costs Network Rail introduced a new process at the end of March 2018 to enable suppliers and other stakeholders to raise a challenge to a standard where they consider it to be incorrect, not enable the application of best practice, or drive increased cost without comparable benefit. All the standards challenges received up to the closing date on 3 May will be considered for this award. This category recognises suppliers that have used new technologies to help transform Britain’s railway. Entries could include new ways of working, cutting-edge technologies or novel approaches to benefit users. This category recognises the company, community or charitable-giving programmes that improve local communities in Britain. It is important to show not only the inputs (resources, time, money spent or donated), but also the outputs too, such as the business and social benefits. Recognises suppliers that can evidence success in initiatives which recognise and respect differences between people whilst valuing the contribution everyone can make to the rail industry. Award winners will demonstrate inclusion and evidence safe and welcoming workplaces and fair cultures that encourage innovative and fresh ways of thinking. This category recognises companies that have made strides in designing and delivering work more efficiently, to generate cost savings and value for money to create a more efficient railway. Entries will clearly demonstrate how they have considered safety, reliability, capacity and value for customers and taxpayers within their work. This category recognises suppliers that have created an environment that promotes accountability, opportunity and diversity. Organisations will be able to evidence a commitment to developing people, for example, talent, skills, apprenticeship schemes, training and leadership capabilities. The conservation, restoration and promotion of Britain’s rich railway heritage are celebrated here – particularly with regard to Network Rail buildings and structures of national importance. Millions of people rely on the railway to get them to work, home and to friends and family. This award will celebrate suppliers who have put the needs of rail passengers at the heart of what they do and can demonstrate that they are genuinely putting passengers first. Safety should never be taken for granted, and this award highlights organisations that show a continuous improvement towards safety within the workplace and on or near the railway. 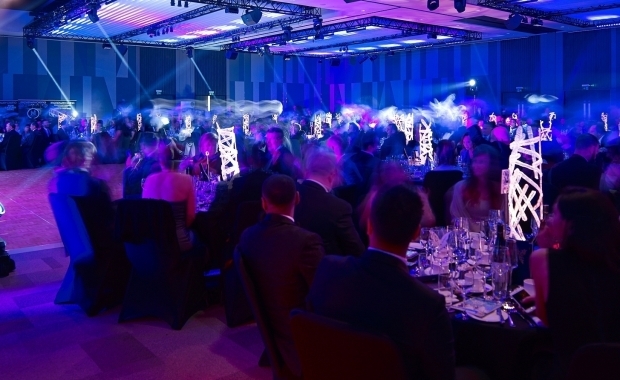 This award will recognise outstanding SME suppliers with annual turnovers of less than £25m. The winning supplier will need to evidence excellence and innovation in several award category areas, such as safety, sustainability, putting passengers first and community engagement, as well as being able to demonstrate successful partnerships within the rail industry in 2017. This award is open to organisations that can clearly demonstrate sustainable and responsible ways of working. It can cover anything from working effectively with lineside neighbours through to carbon off-setting and reduced waste and recycling innovations. Entrants should demonstrate how they have actively communicated with stakeholders to improve the reputation of Britain’s railway.